Lauki (Bottle Gourd) is one such vegetable that is not liked by many people. My family also dislikes it. So I try to use it in a grated form and incorporate it in many dishes like theplas, koftas, cutlets, Bharta raita etc etc.. The bharta turned out so tasty that hubby dear said he would not mind eating lauki this way. I would recommend that you all give it a try once. It can be served with missi roti, makke ki roti, phulkas..
Peel and grate the lauki. Add a little salt to avoid discolouration and set aside. In a pan heat the oil and add the ginger and garlic. Saute it. Now add the finely chopped onion and stir fry until light brown. Add the chopped tomato and green chillies. Now squeeze out the water from the grated lauki and add it to the pan. Do not throw the water from the lauki. We can add it to the curry later or even use it to knead any dough with it. Saute the lauki and onions until the water id dried up and you get a nice brown colour. Add the spice powders and a little salt as the lauki is already salted. Add a little water drained from the grated lauki if needed and simmer until done. In my home, Lauki is the most fav veggie even my son loves it.. Lauki ka bharta sounds delicious and looks yummy. That's really nice to see everyone in the family enjoying veggies. Thanks for liking Priya. 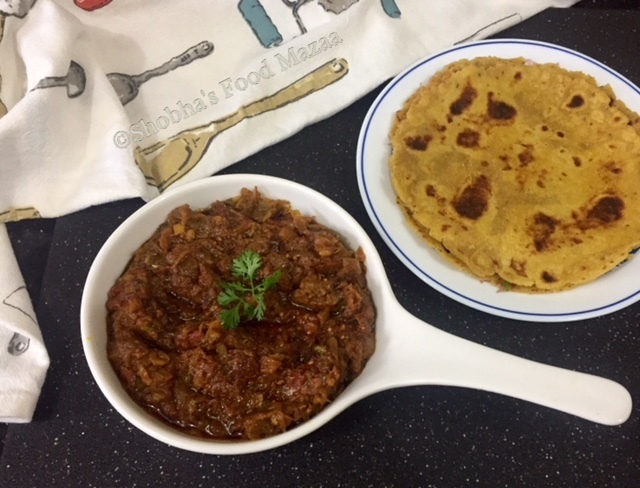 Though my family likes lauki, I would definitely like to try this new lauki bharta recipe as we're getting tired of the 2-3 lauki sabjis I usually make. Do make it for your family and share the feed back. If I was served this lauki bhartha - I would have eaten it as it looks amazing. It's easy to make and has lots of flavours. Easy to make,flavor filled lauki bhartha..
Look so yummy.Simple recipe which i can try easily. 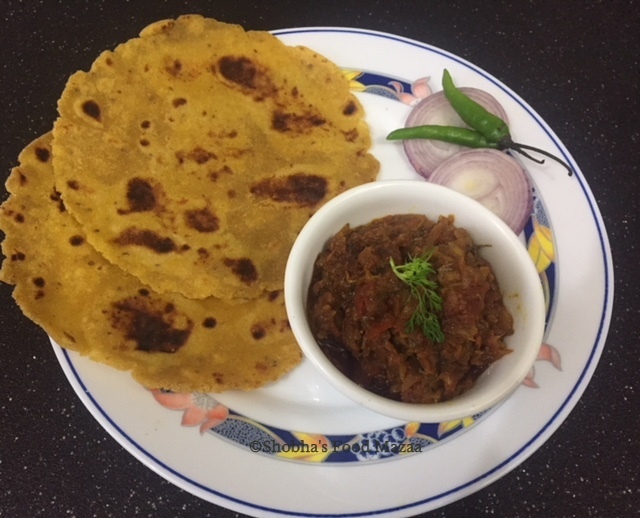 Am gonna make this bharta very soon Shobha, love baingan ka bharta obviously my lauki loving husband will relish this dish. I am so glad to hear that.. Thanks Priya. Wow, I love this twist to the much disliked lauki. Must try. Same here.. no one likes it at home. That's why I gave it a different look and taste. Thanks for the compliment Jyoti. I make baingan bharta but never tried lauki bharta. This sounds super inviting and tasty. If they are lauki lovers they will like this preparation too. Lauki ka bharta is very inviting to pair with roti.. For sure gonna try this yum yum curry. Thanks dear.. I know you will love it. Oh really.. that sounds interesting. I must try that too. Thanks dear.. do make it. As you said many don't like lauki. Luckily my family loves it and I use it in sambhar, paratha, raita and we drink it's juice always. But bharta! Never tried it. There is a half big lauki sitting in the fridge. I think my tomorrow's dinner is planned. Thank you. Wow.. good to hear that.. make and enjoy your dinner. this is brilliant. 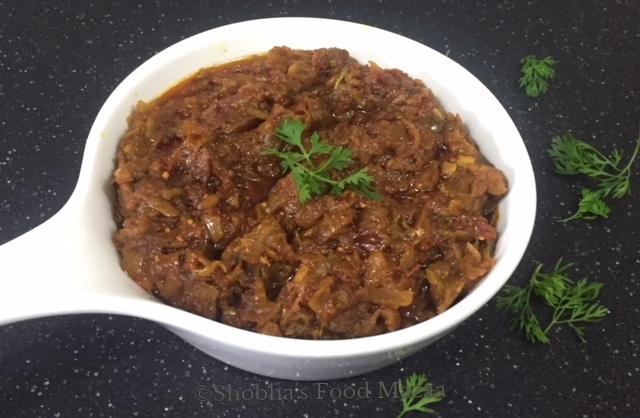 a great way to eat lauki in yummy bharta form. Yummy subzi.. I love to try different veggies in subzi.. Will try this one too.. I do the same.. always making sabzis with a little twist. Shobha, when ever I visit your blog I always discover new ways to cook vegetables. Apart from baingan bartha I have never made any other.This recipe looks great. Thanks for your sweet and encouraging words dear Nayna. I have made and eaten Lauki Bharatha, but I roasted round lauki that time. I really like your version too, will try sometime. Ok.. even the roasted one must be having nice rustic flavours. I will make it too. Awesome and flavorful recipe. I can enjoy this with some plain roti. Thanks Uma. It goes well with anything. We both love Lauki at home and I make a masala style lauki which is basic. Will definitely try this recipe as I loved the grated lauki with masalas, the typical bharta style. Great post! Thanks a lot Vidya. A little twist in the sabzis is always welcome isn't it. This looks tasty and is easy to make. I do not make many veggies at home as they do not eat, must try this one. I am sure they will like this one. Try it out sometime. That is such a yummy way to cook lauki. I think my family would enjoy this delicious variation to other boring lauki curries. Nice to hear that Pavani. same in our place too.. no one likes other lauki preparations. Never seen lauki in a dish like this. One of the best ways to mask the real ingredient!! Yes dear.. it will taste great with any kind of roti. I am mad for bottlegourd. One of my favourite vegetable. I loved this one. Tommorow will try it definitely. I find it very easy. Thanks for sharing. Glad to know that Bhawana. Lauki ka bharta looks so delish. I have never tried this .Bookmarking this fabulous recipe.